It’s been 25 years since the terrorist attack happened in Florence in the night between May 26th and 27th, just few steps away from the Uffizi Gallery. The attack was carried out by the Sicilian Mafia and killed 5 persons, injured 40 people and damaged many works of art. One of those is The Card Players by Bartolomeo Manfredi. It was 1.05 am when a car packed full of explosives and parked in via dei Georgofili exploded: the roar in the night was terrible and was heard from far far away: the medieval Tower dei Pulci, headquarter of Accademia dei Georgofili, collapsed together with all the windows of the Uffizi Gallery and the Vasari Corridor and the other buildings nearby. The damaged artworks were about 400, luckily the masterpieces by Botticelli and other Renaissance artists, were protected by their protection glasses and not ruined; in total 103 artworks were seriously damaged. The Card Players by 17th century painter Bartolomeo Manfredi was terribly damaged: more than 500 pieces were picked up, one by one, by the Uffizi keepers in the next days. The painting by Bartolomeo Manfredi was hanged at the beginning of the Vasari Corridor, since the second half of the ’70s: Luciano Berti, Uffizi’s Director at that time, decided to open the Vasari Corridor to guided tours and displayed at the its entrance, several artworks from the 17th century Caravaggeschi. The Card Players by Bartolomeo Manfredi was irremediably damaged and became the symbol of the Via dei Georgofili bombing, and displayed in the Uffizi Gallery for years as memento of the tragic event. The painting has recently been carefully restored by Florentine restorer Daniela Lippi, who carefully put back together the 500 pieces to give a new life to this, believed completely lost, painting. Her work was filmed by journalist Luca Galassi in the documentary The Care (here the link to the crowdfunding campaign) and told in the book “Cultura contro terrore”. 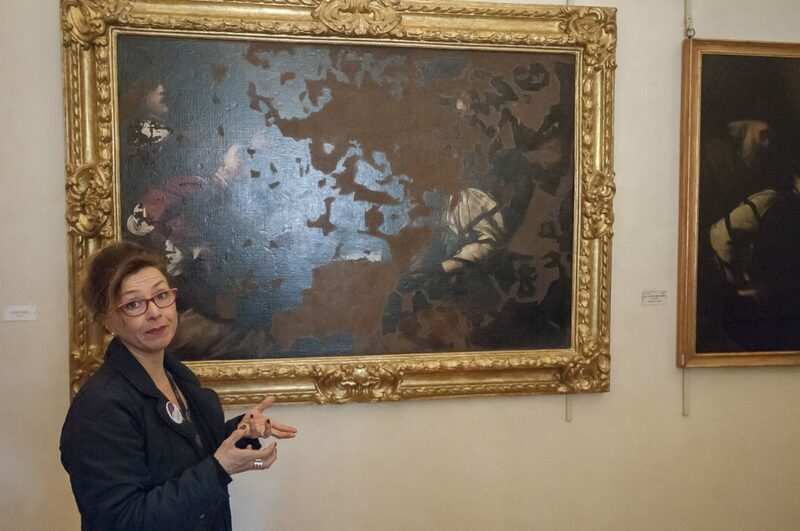 After 25 years The Card Players is back to the Uffizi Gallery:it will be on display at the Vasari Auditorium until June 3rd – information here. 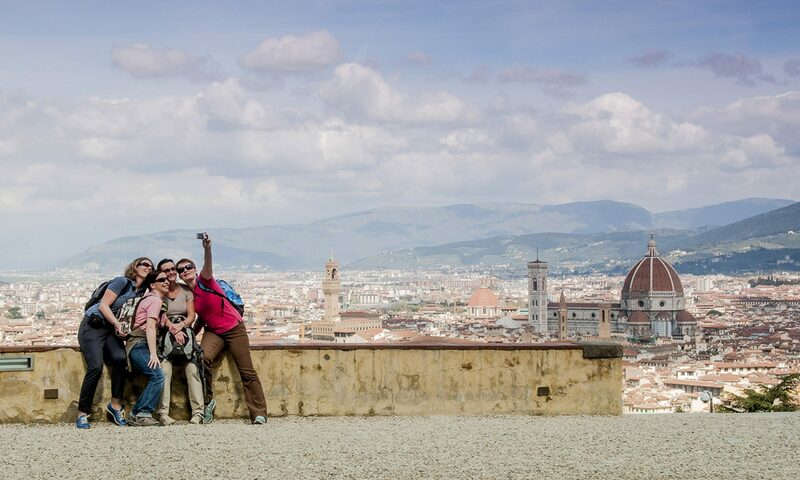 You may find more information also in our free ebook about the Vasari Corridor!